Last edited by CHI on Wed Jan 16, 2019 5:32 pm, edited 54 times in total. Thanks CHI. 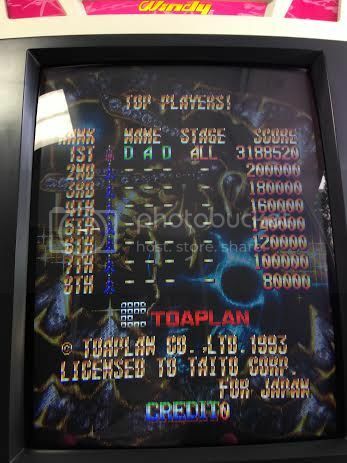 Old thread locked, and this new thread added to the Hi Score Board Index. And as soon as my new Saturn PSU arrives, I'll be appearing here, I hope! 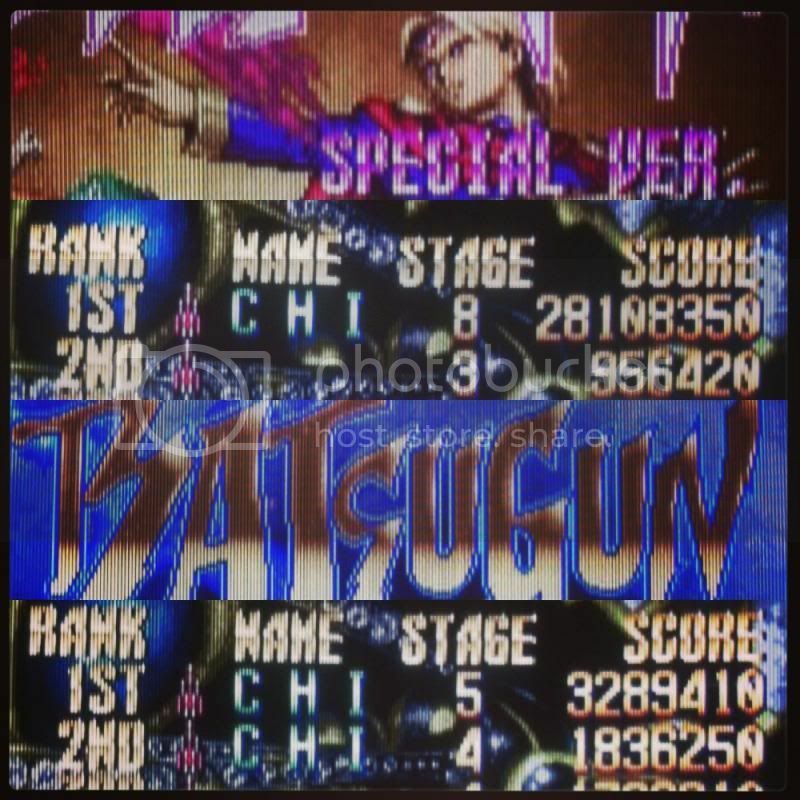 Hi, i wanna start playing the normal version of Batsugun, but i need one clarification about the autofire. 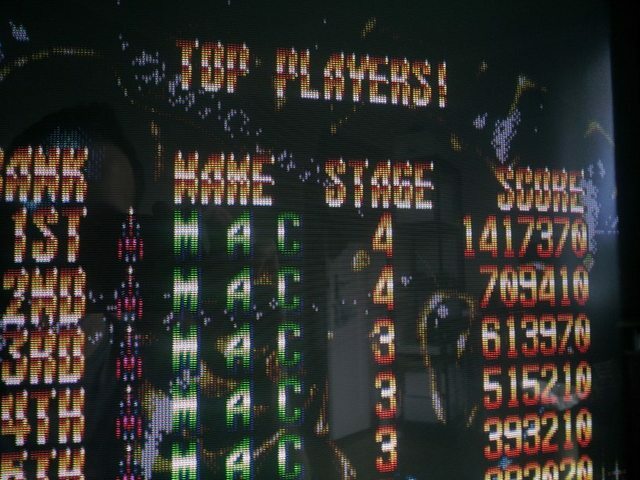 The arcade versions were usually hacked with overclocked autofire, that made the said elements easily abusable to get more firepower. Does that mean i can turn on the autofire on MAME and my score can be accepted in the board, or is it considered a cheat? If i can use it, what would be the delay setting on MAME? As i understand, the lower it is, the faster is the firerate. Just got this pcb and have to say, it is my all-time favorite game I have ever played! I picked up the Saturn port late last year and had to get the pcb to play the game in all it's glory. I missed a half dozen of them for various reasons, but I finally got my filthy claws on it last month! I know these scores are rubbish, and I normally do not ever post scores or clears. I wanted to post this as a way to motivate myself to keep at this one and not just "enjoy" it. I just did both of the stage 5 scoring stuff for the 1st time today and am now ready to get into this one. Doubt I'll ever get the Jupiter trick down, but I can almost hit the 3rd loop.. even though Ground of the Garaxy slapped me down at the end of the 2nd loop. You're right, I stop here too, I don't know why I'm searching, I have to fight with people who haven't been at toilets today. Last edited by el chuddo on Sat May 31, 2014 8:51 pm, edited 1 time in total. Learnt a bit of scoring but still pretty poor. Well - it took my Saturn getting sorted, and then me forgetting to revisit this game until trying one credit of Normal at Saturday's London shmupmeet. So tucked into this Sunday and today. 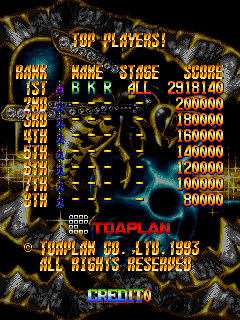 Got the Special 1st loop clear on Sunday (my first day ever playing Special... OK... it is pretty easy), and now I'm on normal. But I'd been using Ship C, because one, I'm the iceman, and two, I hadn't spotted what almost everybody uses here. My Special score is too crappy at the moment, but I will revisit Special with Ship B ASAP! EDIT: So, I just revisited with Ship B. Last time with Ship see I just cleared 4 million and crashed out at stage 6. 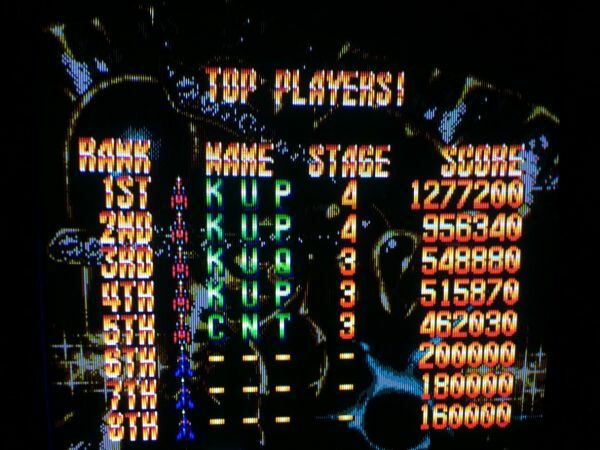 This time I made stage 8 and only scored 4.7 million. I see CHI got 28 million by stage 8. I need to learn about those piggy porks, ever! You not updated this yet CHI? My score's been up ages! Right - CHI, you need to fly back to the UK for Christmas to show me that stage four boss scoring trick! EDIT: I made the two rows of tanks appear and jam up the screen. But game over-ed before getting to bomb them! And to go with my Normal score above, here's a Special Version score for ya CHI. Gave up on the stage 4 boss business, and cracked the stage 5 moving platform trick first go. I say 'cracked'; I mean 'just about pulled off'. Might try it without dying in future! Very reckless final death on stage 8 too. Can make it further! I hope you spotted the time of that post compared to my previous post. It was a 'hilarious' joke about how long I've taken to update a score of yours recently. 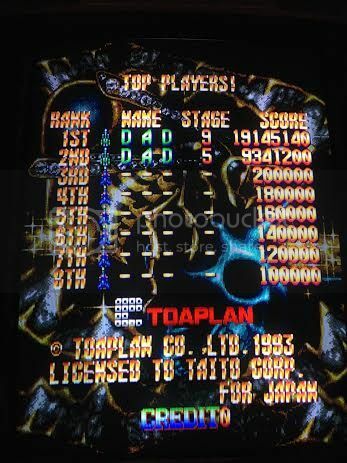 EDIT: I'll beat your scores when you show me your technique for that stage 4 boss scoring trick! Doing a little better. Just got to combine the stage five scoring tricks with a no miss run of that stage (on the opening loop). 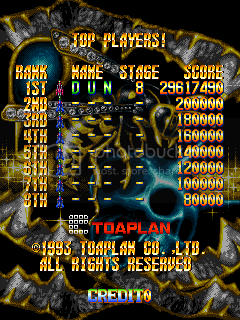 Sometimes despite success with the moving platform and round tanks I loose a chunk of end-of-stage score from dying on the boss. And I manged to screw up my name entry! Autofired in the 'O' of OTA! I promise it's me! Cheers CHI. I just modestly bettered my Normal score too, but I'll work on both Special and Normal a bit more yet, rather than post up every incremental score increase. I will be back though... adore this game! Last edited by BareKnuckleRoo on Sun Aug 30, 2015 10:24 pm, edited 1 time in total. So close to getting another round of milking in, died on Stage 8 with a spare life and 6 bombs in stock, died again due to rage. I hadn't watched any videos of loop 2+ yet though, so I probably would have died to the turret suicide bullets anyways. Gonna try to push this a little higher before the month ends. Edit: Looks like my name is still in the 48th place bracket as well, so I currently have two entries on the Special board.